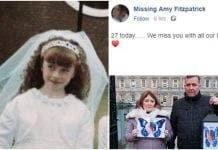 THE mother of missing Irish teenager Amy Fitzpatrick has criticised the Mijas mayor after he refused to help publicise her disappearance. Audrey, 40, stormed out of a meeting with Antonio Sanchez in tears, after he told her the current financial downturn meant the council could not afford to help. 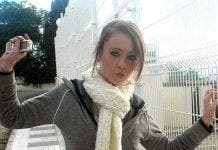 The mother, whose daughter went missing on New Year’s Day last year, told the Olive Press: “It’s disgraceful the way he has acted. All we wanted was for him to put some posters up in all the local bus stops, which the mayor has done for other missing children Yeremi Vargas and Sara Morales. “We’ve lived in Spain for five years, we’ve bought a home here, Amy grew up here and this is where she disappeared from. “This is the first time we have asked for help in the last 15 months of our living nightmare and we were shot down straight away. “What chance do we have of finding Amy if the people who are in charge won’t even lend us a hand? Who do we ask now? Audrey and boyfriend Dave Mahon were so angry they stormed out of the meeting after one minute. The rejection came as a major shock after Spanish Prime Minister Zapatero insisted at Christmas that his country give full commitment to finding all of Spain’s missing children. Their daughter had gone missing from a friend’s house in Calypso. The simple answer if that is all you REALLY want Sr.Sanchez or the Ayuntamiento to do is to perhaps re-approach him and suggest that you will undertake to pay for the job yourselves and have some A4 size posters printed yourself in a photo-copying shop using the photo in this story which seems to be a really good one. You can make the first one adding any details you want to it and then others copied from that and stick them-up at the locations you think most suitable,that costs the Mayor nothing. As you’ve probably antagonised him you may have to eat a bit of humble-pie to get back on his right side for him to allow you to stick-up the posters,normally against a local-by-law! Audrey and Dave were going to pay for the posters themselves. All they wanted was permission from Sr. Sanchez to have them put in the bus shelters. They wernt looking for him to pay for them himself. They have never looked to anyone for help in getting posters printed before they have always got them printed themselves. its not surprising i bet he will help sir alan sugar, look around mijas, and make out he is a great guy, all expats in spain should approach sir alan and richard branson and tell them your stories of the hell you people have with these mayors who resemble franco clones after all these two british men will be employing spanish workers and bringing in a lot more tourists. Drop the mayor a backhander. That´s how things get done in Spain.